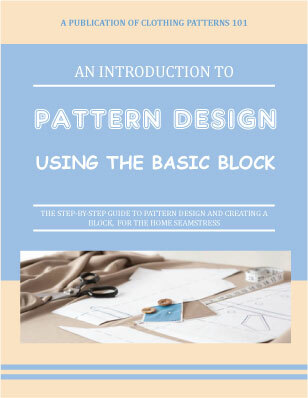 Welcome to the ClothingPatterns101 PatternMaking Store. 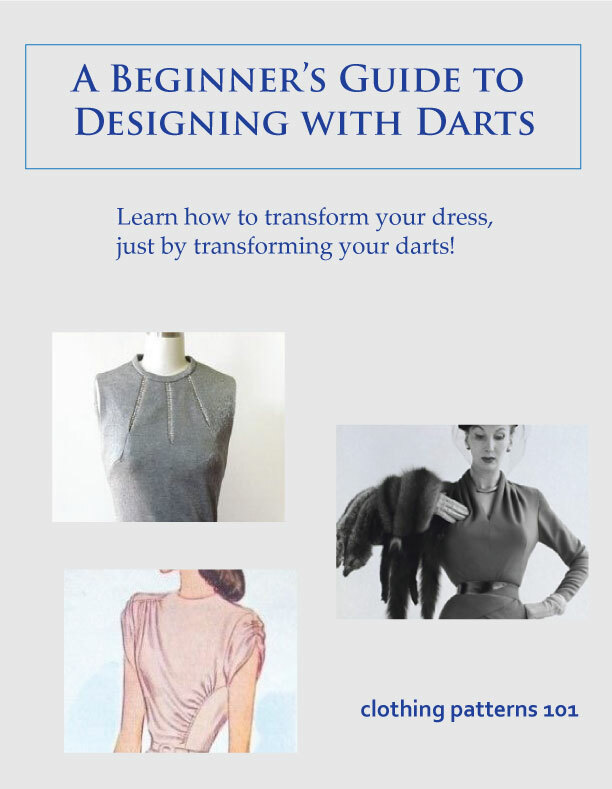 We offer tutorials and e-books on the subject of pattern design and making your own sewing patterns. 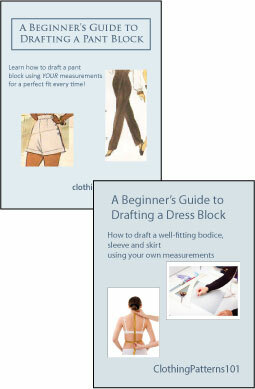 The tutorials are designed for the home seamstress who wants to take her wardrobe to the next level. Click the book covers for more information on each tutorial. 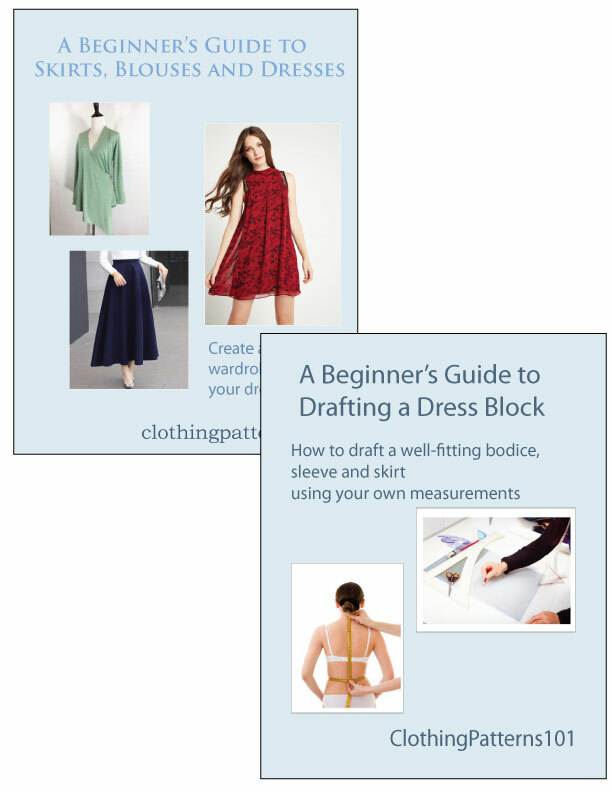 Draft your basic dress block using your own measurements, reflecting your size and shape, giving you a better foundation for designing your patterns. 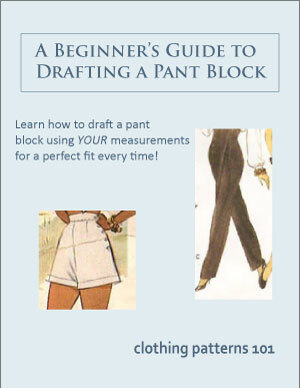 Draft your pant block using your own measurements. Make pants that really fit your size and shape! 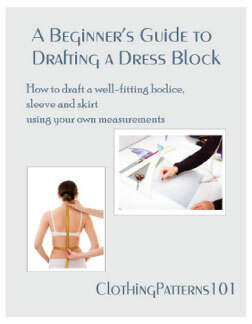 Design dozens of skirts, blouses and dresses using your dress block. 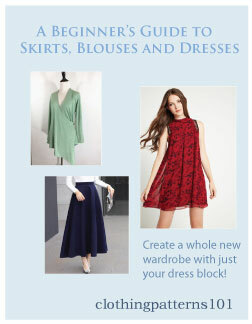 Purchase the Dress Block and Skirt, Blouse, and Dress Tutorials Together and SAVE!! Even the most simple top or dress can be amazing with the right sleeve! 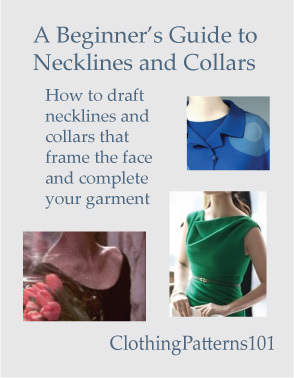 Your neckline or collar is often the focal point of your garment. Make your neck treatment memorable! 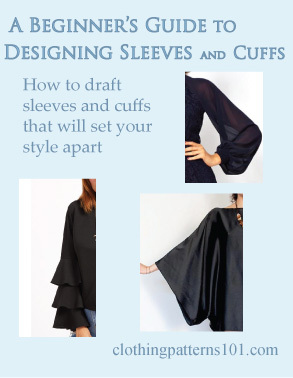 Purchase the Sleeve and Collar Tutorials together and SAVE !! Yes! 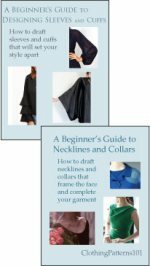 Show me how to design sleeves and collars! Yes! Send me the Sleeve and Collar DVDs! Transform your boring, basic block by re-designing your darts. Add pleats, gathers or shaped seams to add style to your clothes - without sacrificing fit! This entire site, in e-book form! 175 pages, well organized to make it easier to follow our step-by-step instructions.